For the first time in the history of the program, UMBC Mock Trial has earned a bid to the American Mock Trial Association (AMTA) National Championship Tournament! UMBC’s A Team finished 5-3 at the Wilmington, Delaware Opening Round Championship Series (ORCS) on March 25-26, 2017, earning one of only six bids to the National Championship Tournament. That tournament will be held on April 21-23, 2017, at the Stanley Mosk Courthouse in downtown Los Angeles, California. UMBC’s A team earned ballot sweeps of Princeton University and the University of Delaware, along with a ballot split with the University of Pennsylvania, on their way to a 5-3 record and a Nationals bid. 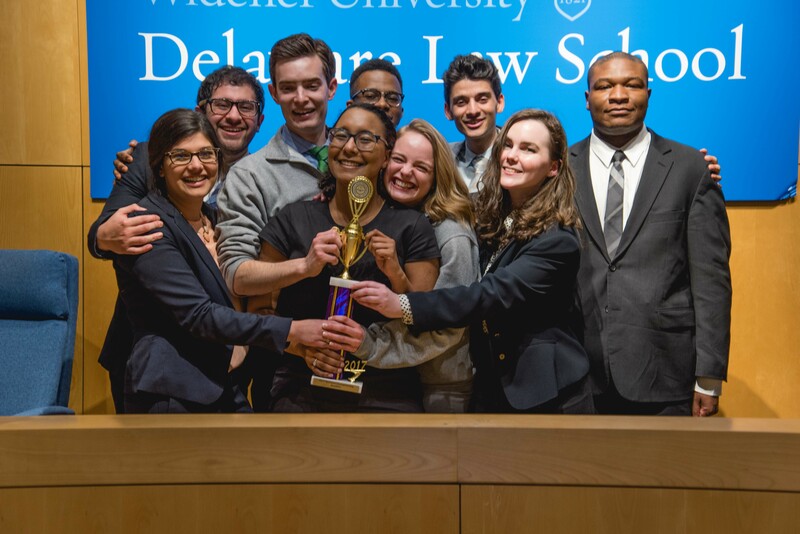 Only 48 teams in the country out of 650+ registered teams earn a bid to the National tournament, representing the top 7% of intercollegiate Mock Trial teams nationwide. UMBC’s A Team was led by senior captains Dylan Rogers Elliott, Zuhair Riaz, Brandon James, and Kayla Smith. Those four seniors have earned 14 individual awards through their careers with UMBC Mock Trial, portraying both witnesses and attorneys. UMBC’s B team also competed at ORCS this past weekend, earning a record of 4-4 and narrowly missing out on a second Nationals bid for the program. The B team was led by returning captains Shoba Kadavil, Jaedon Huie, and Sam Dhawan, and earned ballot splits with Princeton University, the University of Pennsylvania, the University of North Carolina, and the University of Delaware.